The Nearest Lodging: The track is behind the ‘Red BarnVillage Bed and Breakfast’ (see www.redbarnvillage.com). Saturday April 3 was a beautiful spring day. 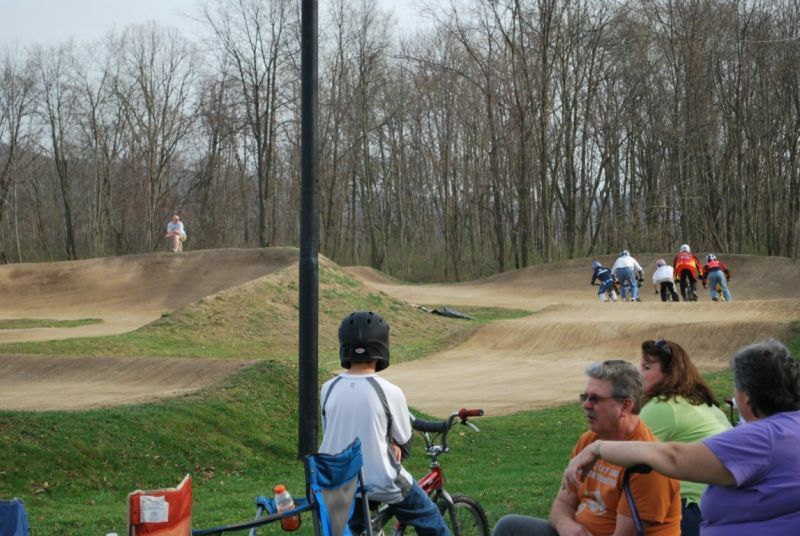 We had planned to take a trip up to visit Cedar BMX. The drive up there is breath taking with rolling mountains, farms and forests. Several spots along the way reminded me of a painting. It was a pleasant soothing drive with little traffic. While I was in line a local boy stopped over and offered to show Trevor around the track. I don’t recall his name or his mother’s but THANK YOU. It is great to have friendly people like that. 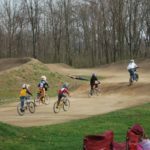 real dirt – on a BMX track. CAN YOU BELIEVE IT!!!!! I was so excited I thought I was going to lay down and roll around in it for while. Yes they had blacktop at the starting hill but that was it. 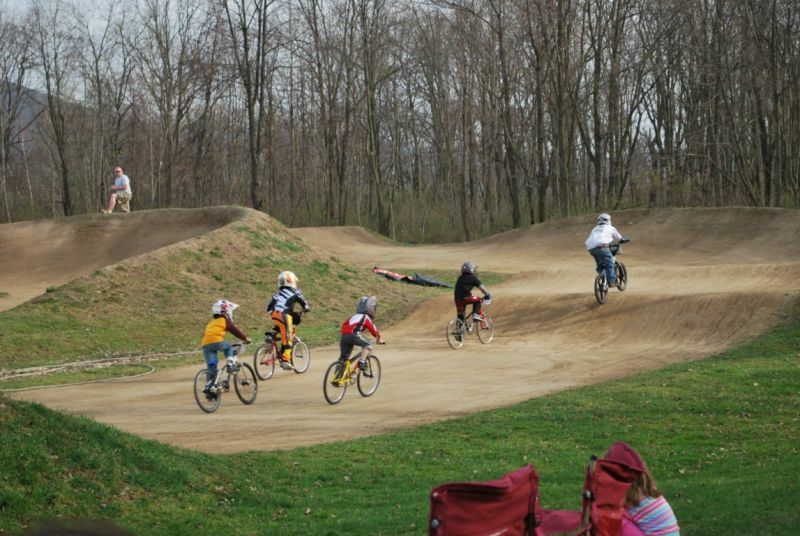 All the turns are dirt! 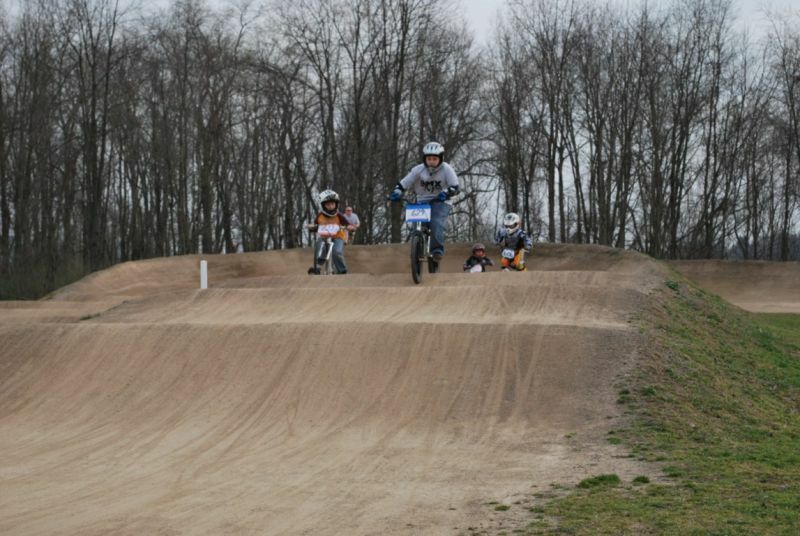 The jumps are smooth allowing even my 8 year old rookie to choose to get air or not and land without issue. No lippy things anywhere. I am always trying to find ways to motivate Trevor to pedal. We have been doing sprint training. 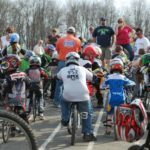 I told him – if you win the first moto then you sit till the main. 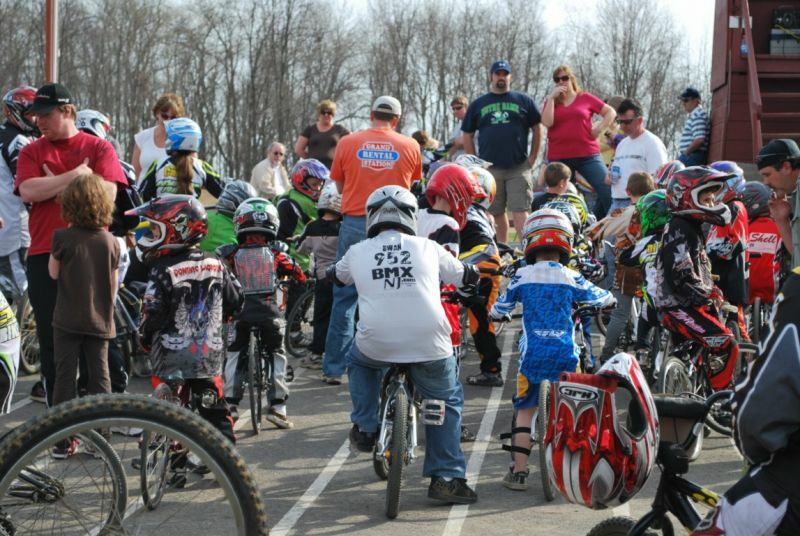 He ran away from the entire group winning his first moto. I think his Momma put ants in pants or something because I had never seen that boy do that before. It looked really cool seeing him on his Ripper with Graphite Tuffs winning! 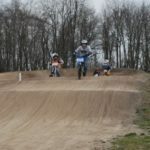 My motos were a load of fun. One rider washed out the front end while next to me adding to the excitement. I had the fortune of racing with a great bunch of guys. At the end of the mains people actually stayed and hung out for a while. I had trouble getting Trevor to leave the Track! He kept jumping getting air – I am thinking who is this kid? 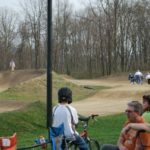 My suggestion – if you want some ‘Family Fun’ or just something great and different than NJ Scene then take the trip to Cedar BMX in Clarks Summit, Pennsylvania. The trip will reward you with great people, a great track and a great experience. Big thanks to Luanne, Mark and Rob. I look forward to my next trip up there!